Elk Ridge Fixed Blade Knife Bushcraft Pakkawood 10.5'' Overall(ER-543WD) Elk Ridge hunting knives made by Master Cutlery. 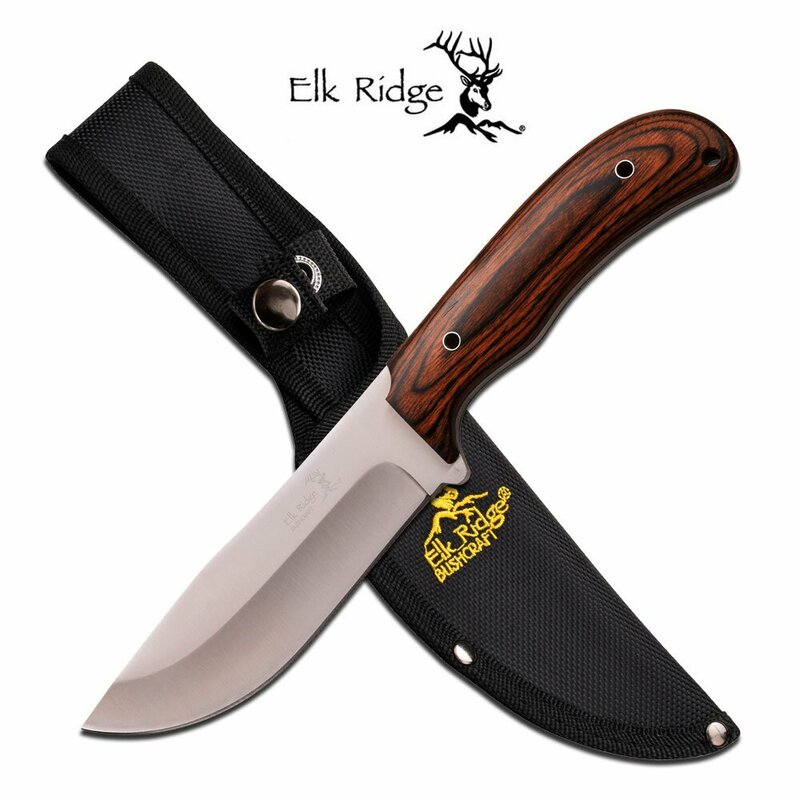 Elk Ridge fixed blade hunting knife. 10.5" overall, 5.5" 5 mm thick blade made of stainless steel. Satin blade. Brown pakkawood handle. Includes nylon sheath.